South Devon Osteopaths Ltd (SDO) always endeavours to make sure that you receive the highest standard of care during your time as a patient. We welcome comments about the services we offer and regret any patient having cause to make a complaint. We accept and are sorry that on occasion the service we give may not be to an individual’s satisfaction. Consequently if you are unhappy with the standard of care you have received or with the way we have organised your care, we would like to hear about it and recognise that it may be important for you to make a complaint. We operate a Complaints Procedure for dealing with complaints. Our system meets national criteria. This Procedure does not deal with matters of legal liability of compensation, but we hope you will use it to give us an opportunity of looking into, and if necessary, correcting any problems that may have arisen or mistakes that have been made. Complaints should be addressed to our clinic director, Mr P Hatton. Alternatively, you may ask for an appointment with Mr Hatton in order to discuss your concerns. He will explain the complaints procedure to you and will make sure that your concerns are dealt with promptly. It will be helpful if you are as specific as possible about your complaint. We shall acknowledge your complaint within 2 working days and aim to have looked into your complaint within 10 working days of the date you raised it with us. We shall then be in a position to offer you an explanation, or a meeting with the people involved. Make it possible for you to discuss the problem with those concerned, if you would like to do this. Make sure you receive an apology where, this is appropriate. Please note that we keep strictly to the rules of medical confidentiality. If you are complaining on behalf of someone else, we have to know that you have their permission to do so. A note signed by them will be needed, unless they are incapable (because of illness) of providing this. Complaining the General Osteopathic Council. The Care Quality Commission (CQC) is the independent regulator of health and social care in England. Their aim is to make sure better care is provided for everyone, whether that’s in hospital, in care homes, in people’s own homes, or elsewhere. 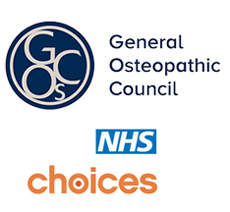 They regulate health and adult social care services, whether provided by the NHS, local authorities, private companies or voluntary organisations.